Clean the area with Rubbing Alcohol. 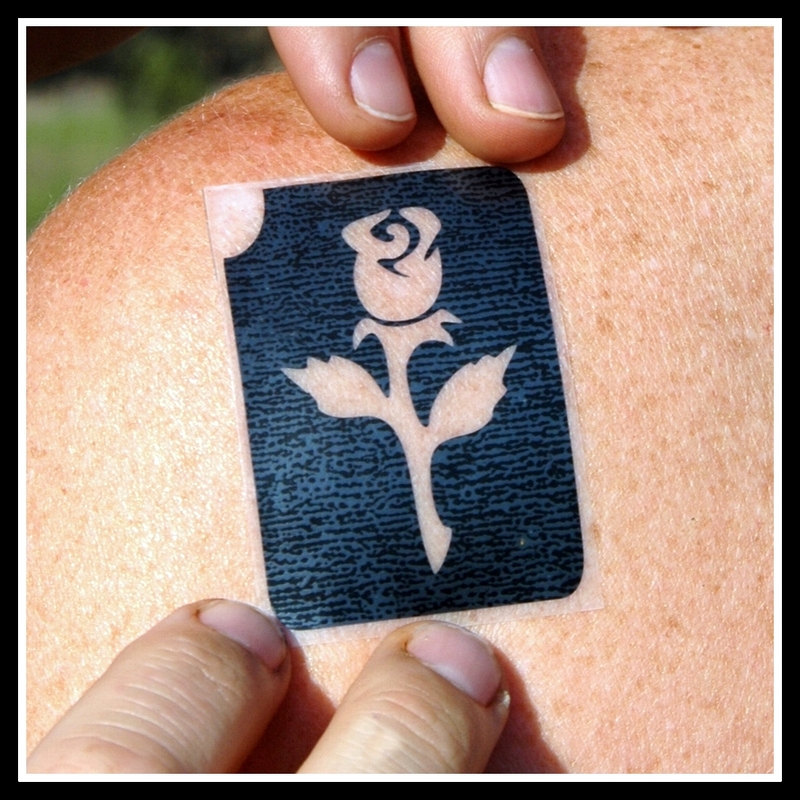 Peel off the white back of the stencil. 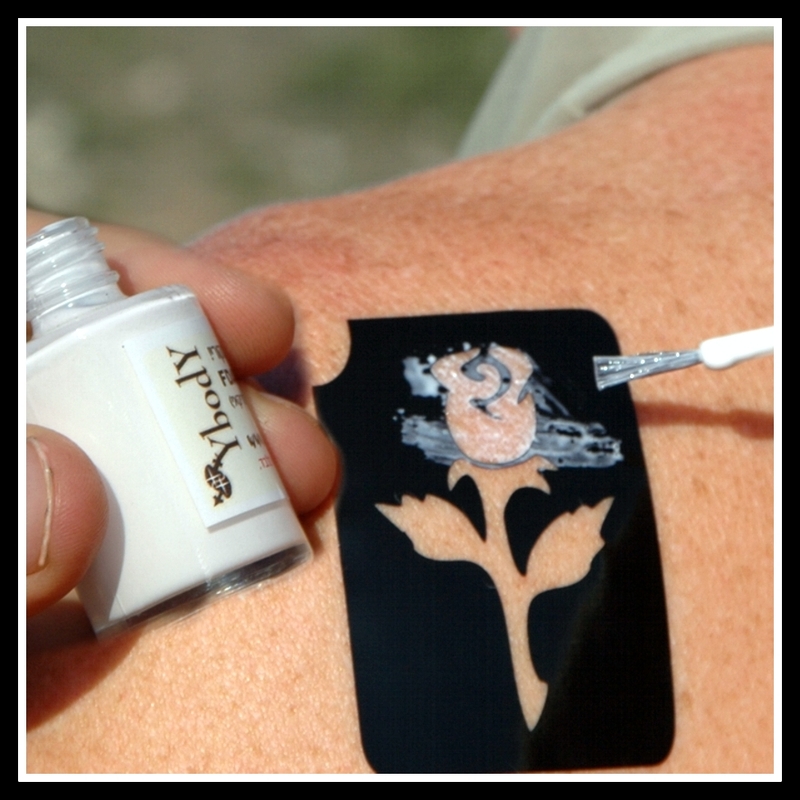 Place the stencil on clean skin. Not recommended on the face or sensitive skin. Peel the front transparent tape. Apply a thin layer of the Pink Glue. 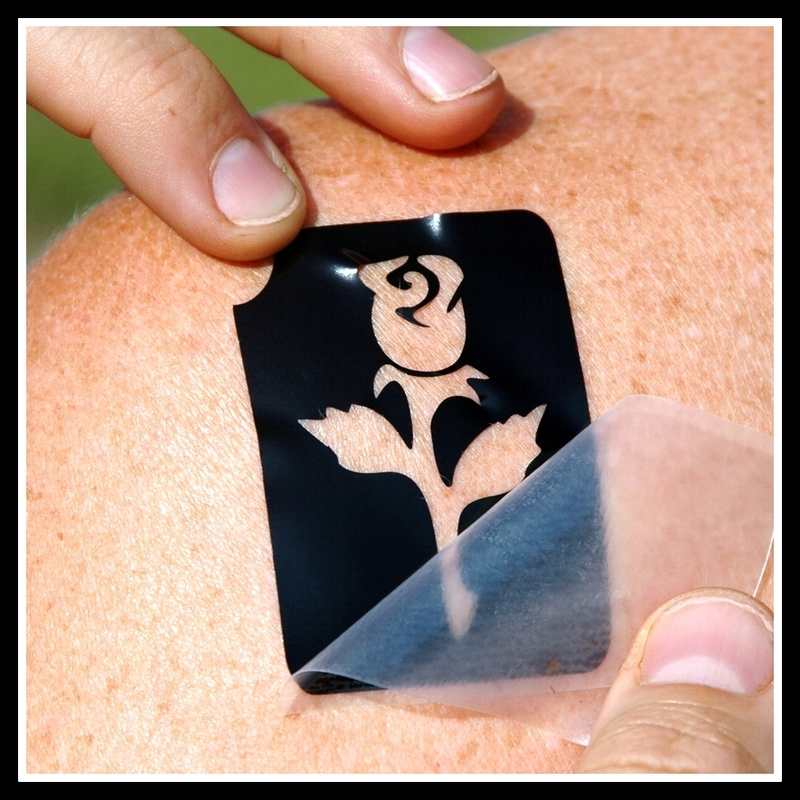 Wait until the glue becomes transparent. Sprinkle a generous amount of glitter. 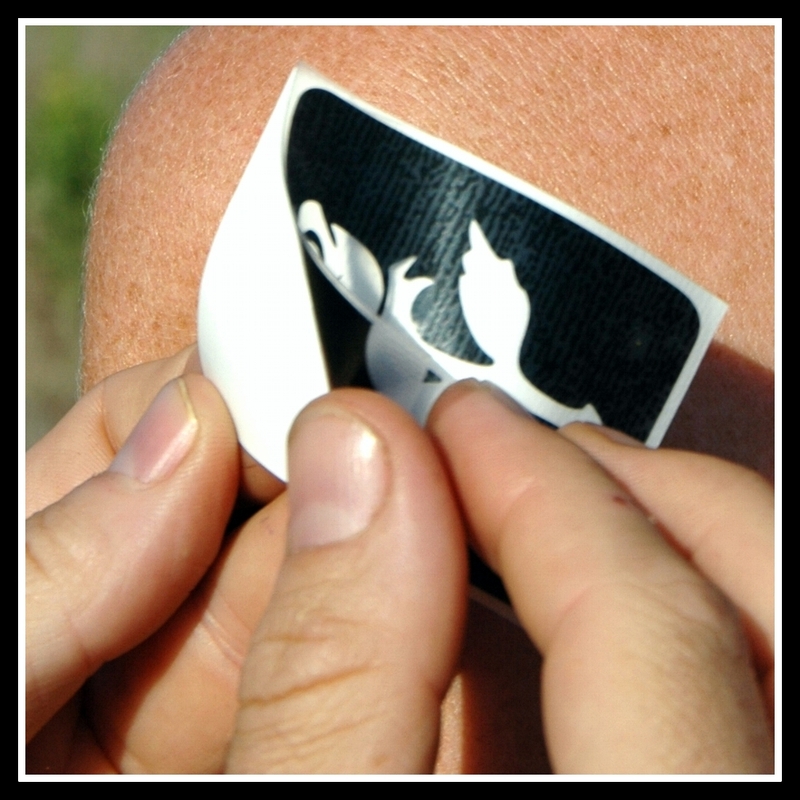 Gently peel the sticker off the skin. 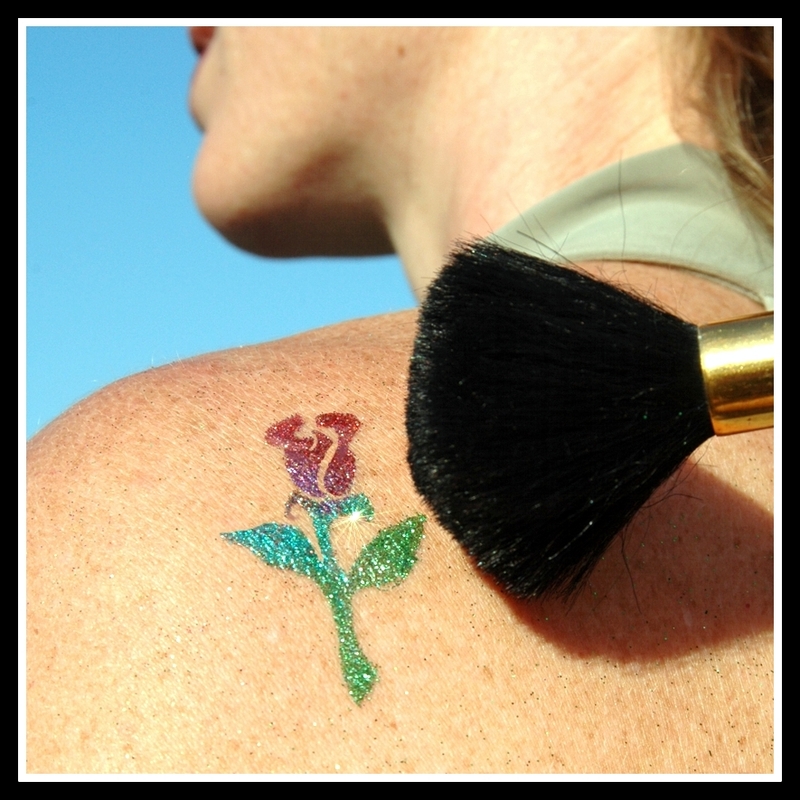 Finish by dusting off the excess glitter with the wide brush. 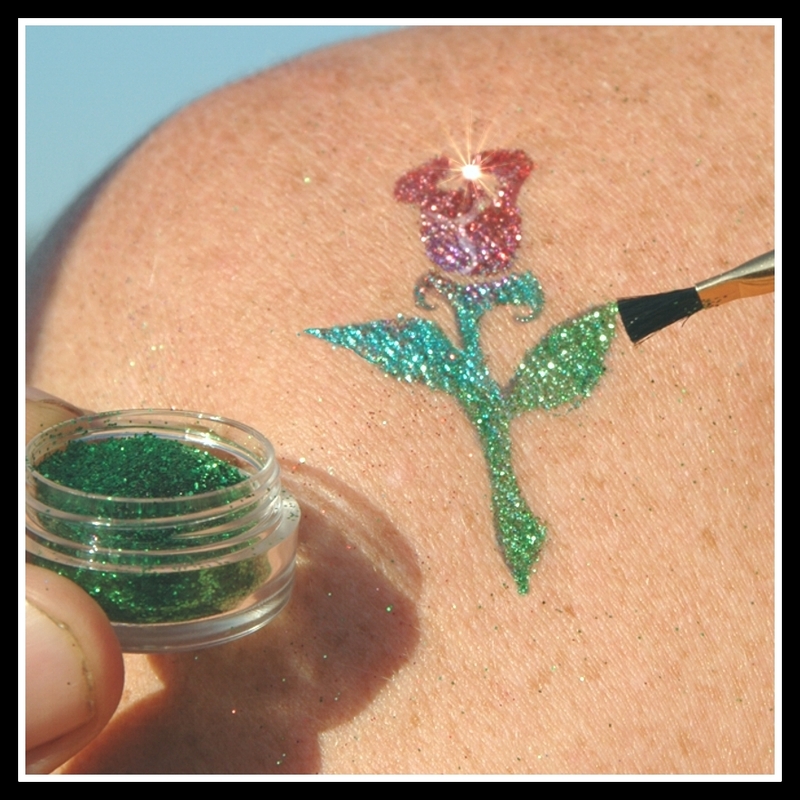 Glitter Tattoo are waterproof and should last 3-10 days!